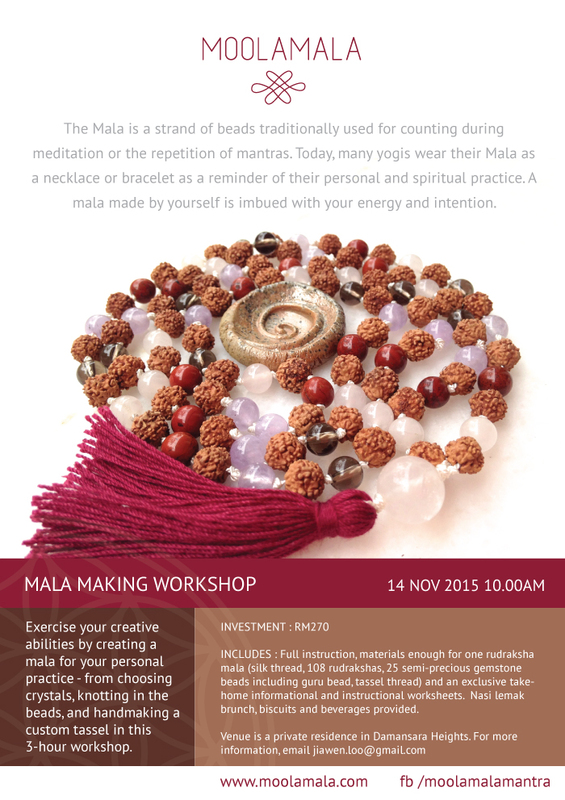 Mala Making Workshop : Kuala Lumpur August 29th! 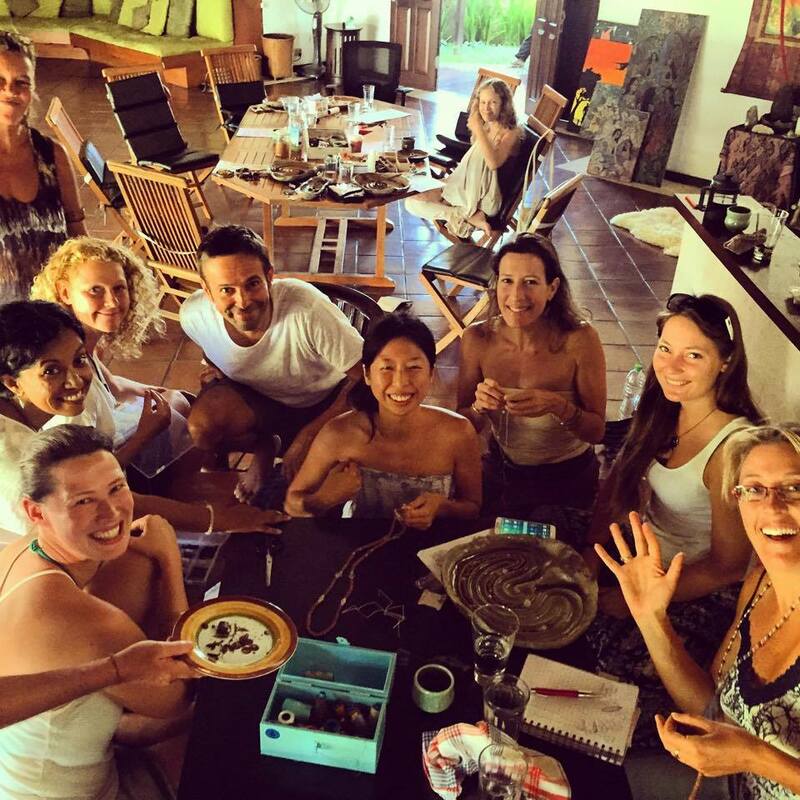 I’ll be in Kuala Lumpur again for about two weeks, so am taking the opportunity to offer another mala making workshop. Learn the meditative art of making a mala or Buddhist prayer bead necklace with sacred rudraksha seeds and crystal beads. Make a special personal mala for your practice, or make it as an offering to someone in your life. Each seed and bead will be knotted into place, and you will also learn how to make your own tassel. Workshop includes: 108 rudraksha seeds, wide selection of genuine crystals beads (choose up to 25 for your mala, extra charges apply if you use more than 25 crystals), silk thread for stringing, tassel thread and take-home booklet. Date & Time: Saturday 29th August 2015, 10 a.m. Duration: ~3 hours or more, depending on speed of making! More bracelets at @ilhamgallerykl : calming howlite and rose quartz with lepidolite and moonstones, and a hobo range of mixed stones and wood beads 🤗 ilham is open every day except mondays and public holidays and I personally love visiting the shop every time because of their great selection of home grown designed goods, crafts and books.